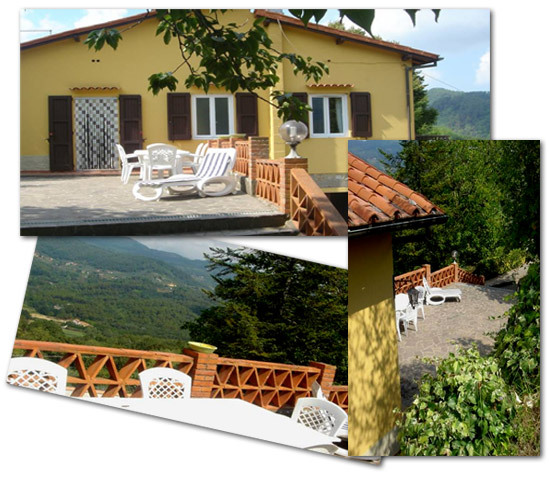 Villa Ida is nestled above the hamlet of Piazzano in the foothills of the Apuan Alps between Lucca and the coastal resort of Viareggio. This superb Italian villa offers an authentic, year round Tuscan escape. Ideal for families and friends. Tastefully furnished, Villa Ida sleeps 6, with 3 large bedrooms, a living room, 2 bathrooms and laundry room; the kitchen is rustic in style and fully equipped with all modern appliances. The balcony with the stunning panoramic views of the Val Freddana links the master bedroom and living room. A large terrace for dining "al fresco" leads to a garden shaded by fig, cherry and apple trees. Villa Ida offers ample parking, facilities for small children including cots and push chairs as well as a personal film & music collection. The city of Lucca is just 12km from Piazzano. The birthplace of composer Giacomo Puccini and famous for the Piazza dell’ Anfiteatro, Guinigi Tower and San Michele Cathedral, Lucca is one of Italy’s hidden tourist gems. The historical centre of Lucca lies within the still intact Renaissance city walls and hosts monthly antique and art fairs, summer music and opera festivals. There’s plenty to enjoy – sampling the local wines and olive oils, arguably the best in the world, dining at the many quality restaurants, the beaches and night life in nearby Viareggio or simply soaking up the atmosphere on a leisurely cycle on top of Lucca’s city walls.